Facebook Fit Miami Unplugged | Get the Latest Online Marketing Trends in Web Design, Social Media, Blogging, and More. 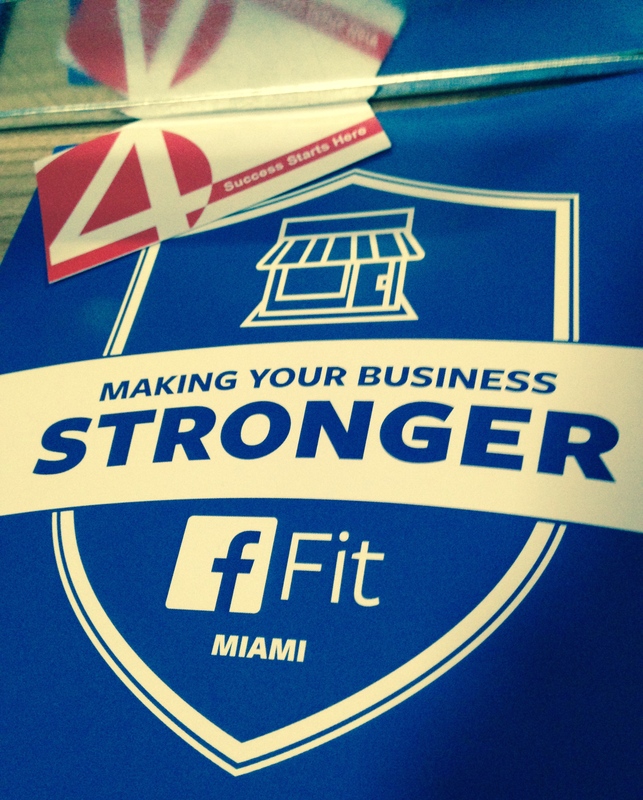 Last month 4 Step Studio attended the Facebook Fit expo hosted at Soho Studios in Miami, FL. The event targeted small businesses and entrepreneurs to help them achieve success with Facebook and other business tools. As a spectator, we looked out into the crowd and saw far too many glazed over eyes. The presenters tried to convince the audience “It’s easy” more times then they actually were able to provide solutions. I could see people getting lost. Let me explain. HOLD ON! If anyone has ever worked with a real Mom & Pop shop, or really small business, guess what they don’t have, Developers or Webmasters! A majority of small businesses think they can’t afford a website and this is why they go to Facebook. What Mr. or Mrs. Small Business owner needs is answers to How do I do this? How do I get results on a shoe string budget? This was my favorite part of the entire expo. Real people, Real Businesses talking about their success and how Facebook helped them. These business owners talked about how they used Facebook to help their business, how they’ve grown and what they did. The one thing that didn’t get enough attention was, HOW did they get started? One of the businesses on the panel even mentioned that they didn’t get to where they are today alone, they had to hire a digital marketing agency to help. Later on they were able to learn how to do things themselves but they needed to get help to get started. Goes back to, HOW? I hopefully made my point by now. What is missing is the answer to really HOW? How do I get started? How does this impact my business? How do you create a campaign? How! Remember, as a business owner you are not an island and you can’t do it alone if you want to be the best. It takes having the right people with the right talent to help you get there and they need to know HOW to make it happen. To learn more about what 4 Step Studio can do for you, check out our website at www.4stepstudio.com.